(NaturalNews) Drinking water for much of the city of Cleveland is at risk of becoming too dangerous for human consumption, ecologists and environmentalists are warning, as a two-square-mile toxic blob at the bottom of Lake Erie spreads closer to the main water intake pipe that supplies it. The website Eco Watch, citing local reports, noted that the toxic blob is identified in a report by Ohio government officials that is expected to be released later this fall. The findings in the report are based on new analyses of samples that were taken from a segment of the lake bottom known as Area-1. The section is located about nine miles off the coast of the major U.S. city. Earlier tests taken by the Ohio Environmental Protection Agency of the toxic blob in 2014 and 2015 found levels of PCBs (polychlorinated biphenyls) and PAHs (polycyclic aromatic hydrocarbons) that were far higher than anywhere else in Lake Erie, which serves as a major cargo shipping body. These chemicals are highly toxic and can harm or kill (or taint) aquatic life, as well as cause some cancers in humans. The toxic mass is reportedly due to the dumping of dredged and untreated sludge by the U.S. Army Corps of Engineers from the polluted Cuyahoga River shipping channel dating back to the 1970s. The dumping took place before the Clean Water Act was passed by Congress and signed into law by President Richard Nixon in 1972. At present, state EPA officials say the mass is currently situated about five miles from a water intake valve for the Nottingham Water Treatment Plant, a facility that supplies drinking water to parts of Cuyahoga County, which is the state's most populous county. Officials say it isn't clear how quickly the blob is moving or if it will reach the intake pipe at all. Ohio EPA officials announced in May that Cleveland's drinking water is being monitored and so far remains safe to consume. The head of the state EPA's Northeast Ohio District, Kurt Princic, has told local media that no PCBs or PAHs have so far been detected at the Nottingham plant. But of course, that doesn't mean the situation won't change, especially if the current – perhaps influenced by storms or other weather events – alters the course of the toxic sludge. "I'm no more satisfied now than I ever was that we have dispelled the fact that we have toxic sediment moving toward our drinking water," director of the Ohio EPA, Craig Butler, told the Cleveland Plain-Dealer newspaper. He added that the agency needed "conclusive evidence" that would only come from taking more samples and continuous monitoring before officials could determine if the blob was moving. The Plain-Dealer reported further that the Ohio EPA joined recently with the U.S. Army Corps of Engineers to ask the federal Environmental Protection Agency to take the lead in a renewed series of vigorous testing of the bottom of the lake in the vicinity of Area-1, said Princic. He said the federal agency's help would be needed to determine whether the blob is "migrating" and if so where – and whether it will become a drinking water hazard. Peter Cassell, head of the U.S. EPA's District 5 office in Chicago, told the paper that his office has already been in contact with the Army Corps and Ohio EPA. However, he added that testing at the site had not yet begun as of Oct. 19. After Butler raised red alerts about the dangers that may be lurking in Area-1 in April, then-Brig. Gen. Richard Kaiser downplayed any claims that the toxic blob was moving and that at some point it could prove to be disastrous for city drinking water. That said, Kaiser has proposed capping the site with a fresh layer of dredged sediment he said was clean enough to openly dump in the lake. But the Ohio EPA declined that and would not grant the Army Corps a permit to do so. 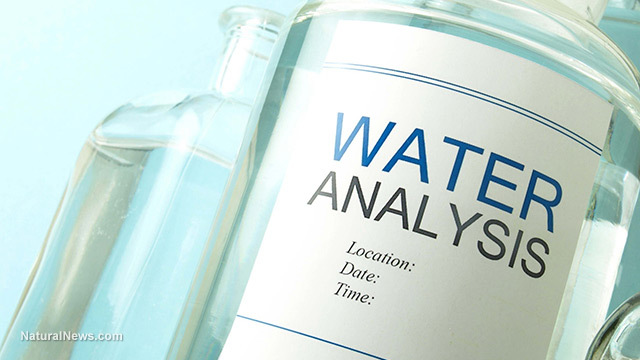 If you suspect your drinking water may be at risk of toxicity, contact CWC Labs and learn how to submit a sample.